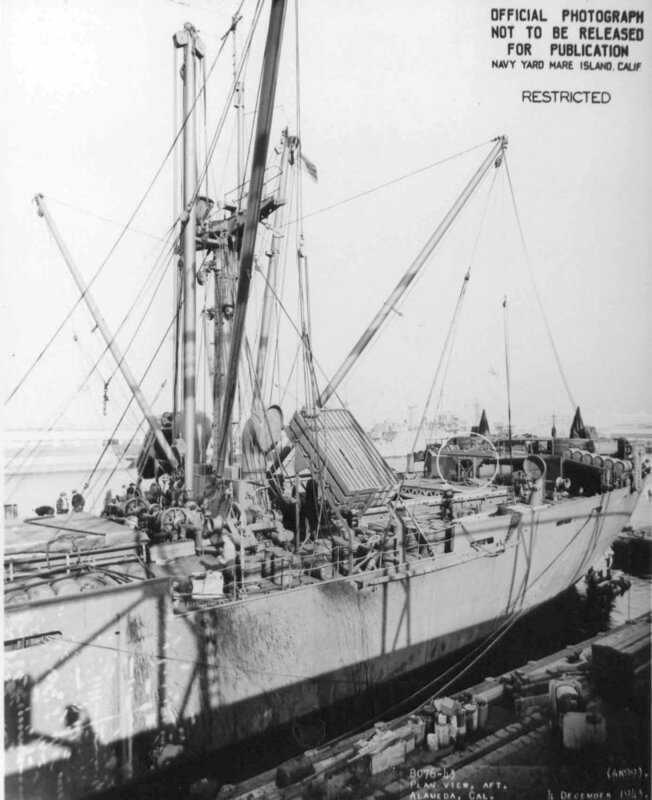 Laid down, 24 April 1943, as SS Thomas Oliver Larkin, a Maritime Commission type (EC2-S-C1) hull, under Maritime Commission contract (MCE hull 1656), at California Shipbuilding Corp., Wilmington, CA. 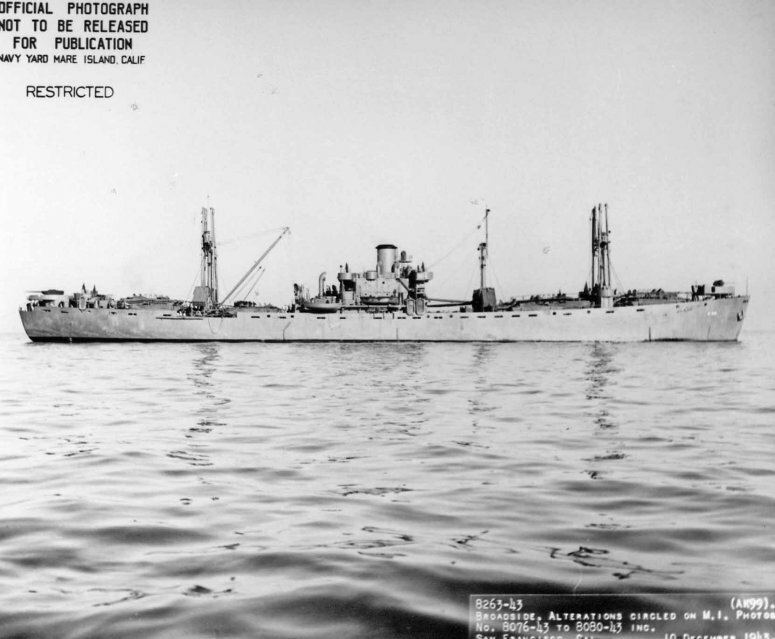 Decommissioned, 22 April 1946, at Pearl Harbor, T.H. 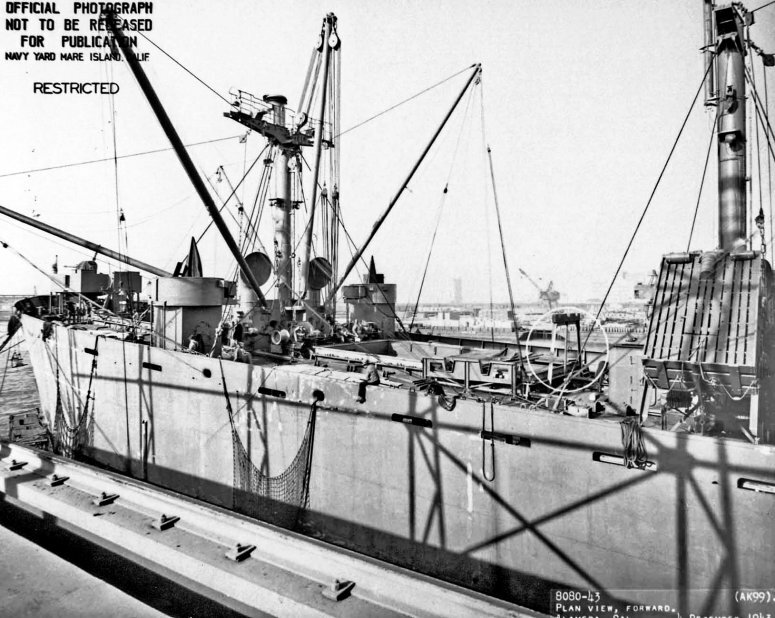 123k Amidships looking aft plan view of USS Bootes (AK-99) at Alameda, CA., 4 December 1943. 121k Amidships looking forward plan view of USS Bootes (AK-99) at Alameda, CA., 4 December 1943. 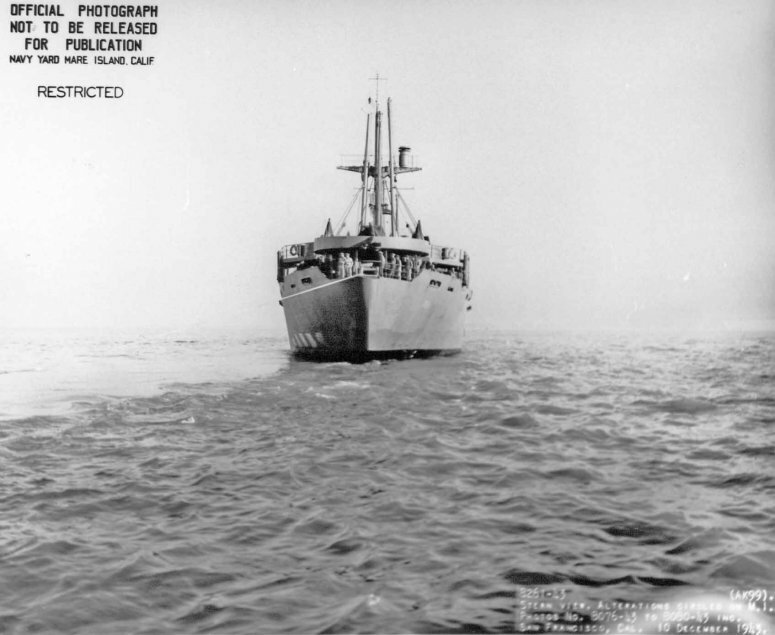 66k Stern view of USS Bootes (AK-99) off San Francisco, CA., 10 December 1943. 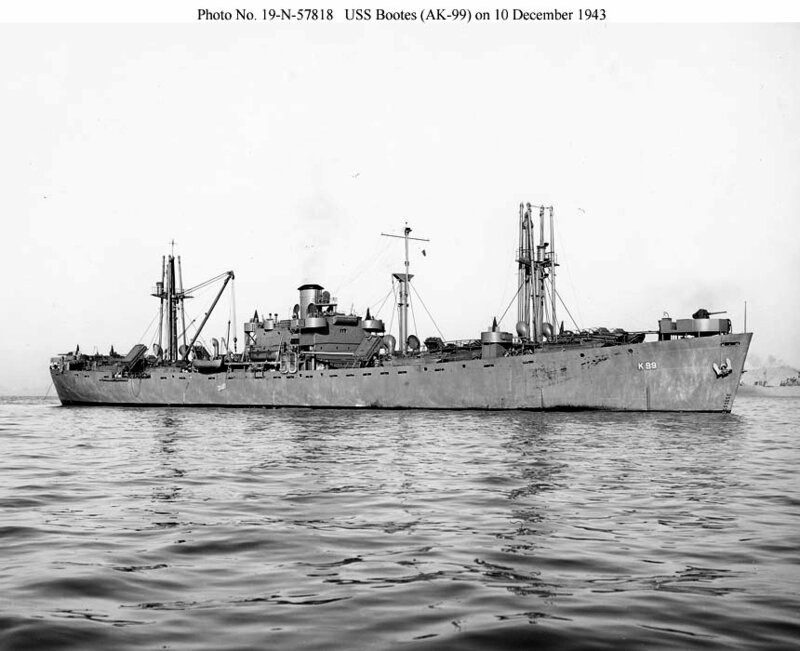 69k Broadside view of USS Bootes (AK-99) off San Francisco, CA., 10 December 1943. 89k Bows on view of USS Bootes (AK-99) off San Francisco, CA., 10 December 1943. 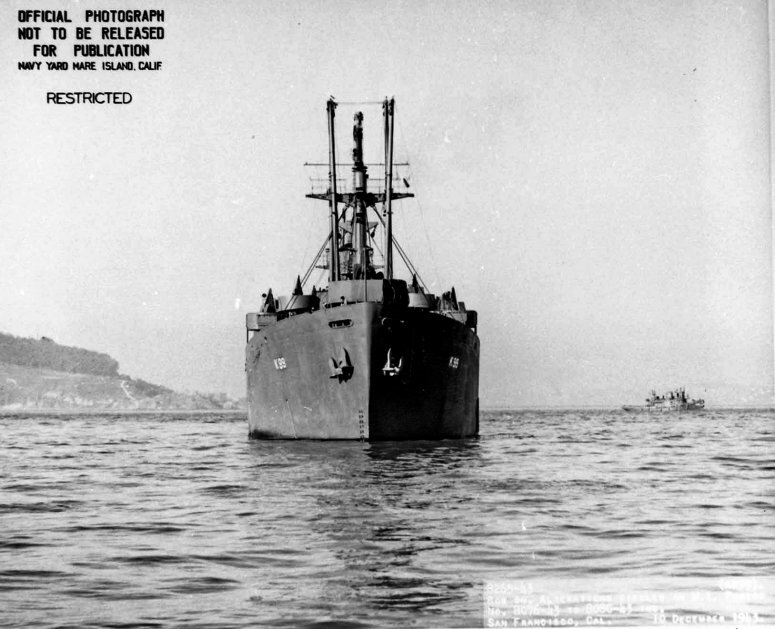 94k USS Bootes (AK-99) off San Francisco, CA., 10 December 1943.